CMA letter to Sen. Franklin Drilon for the organization’s endorsement of the attached letter requesting him to include senator koko pimentel in the senate panel to the joint congressional oversight committee for overseas voting. 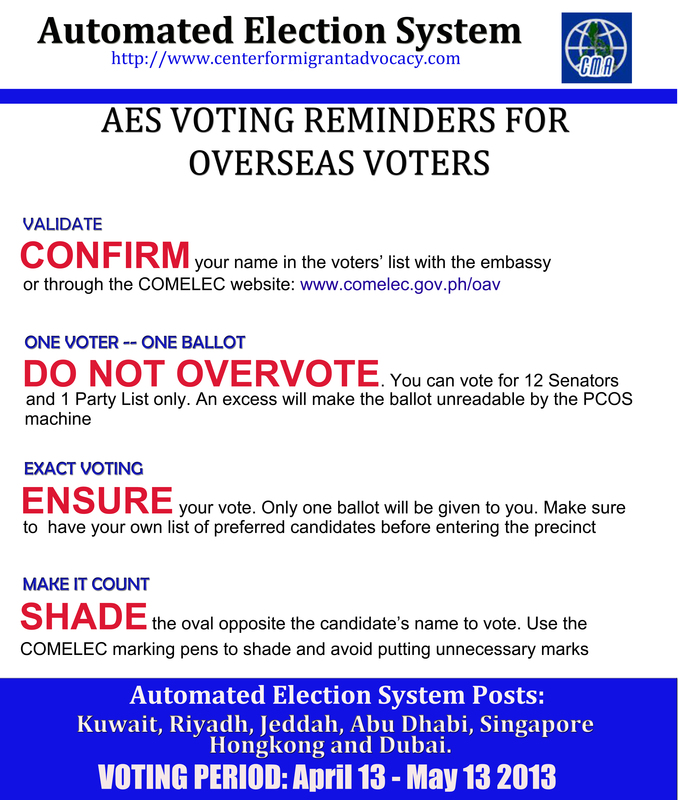 The Overseas Voting Act of 2013.
we are approaching the third week of overseas voting — for those of you who have yet to decide on the senatorial and party list candidates to vote for –this one is for you — …..
kilalanin ang ating mga kandidato. tayo na! iboto ang matapat na naglilingkod at maglilingkod pa sa bayan. sa tamang kandidato, ang tao ang panalo! here is the list of registered party-list groups for 2013 elections. 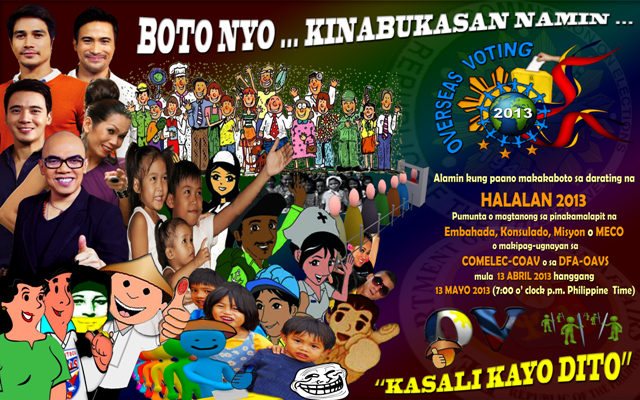 please note, you must vote for ONLY ONE (1) party-list group. 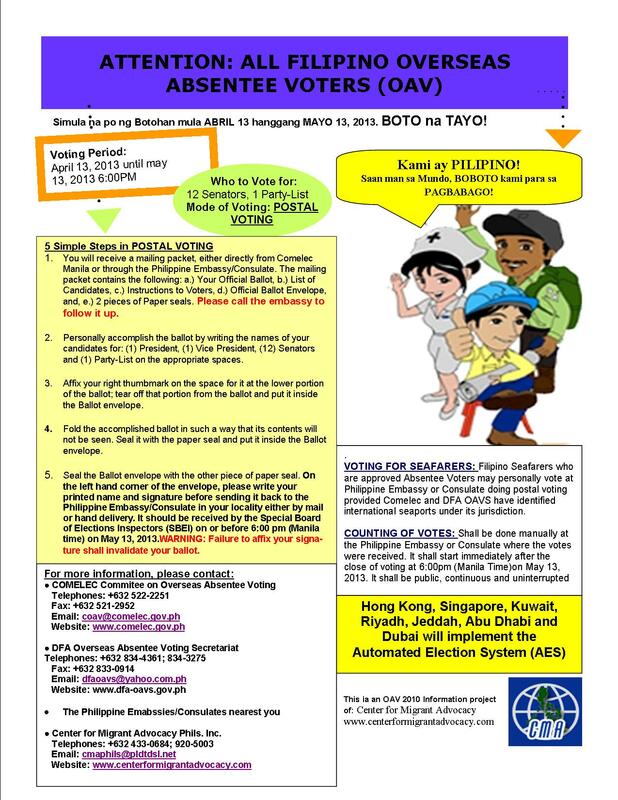 2. for postal and personal manual — for the rest of the posts other than those above — you have to write the names of the candidates on the ballot. isusulat po ang pangalan ng kandidato; at ibabalik sa embahada o konsulado. last day of voting is may 13, 2013, 7.00pm manila time. The Center for Migrant Advocacy posted the latest report on the Round Table Discussion on Philippine Migration to Australia on its website. 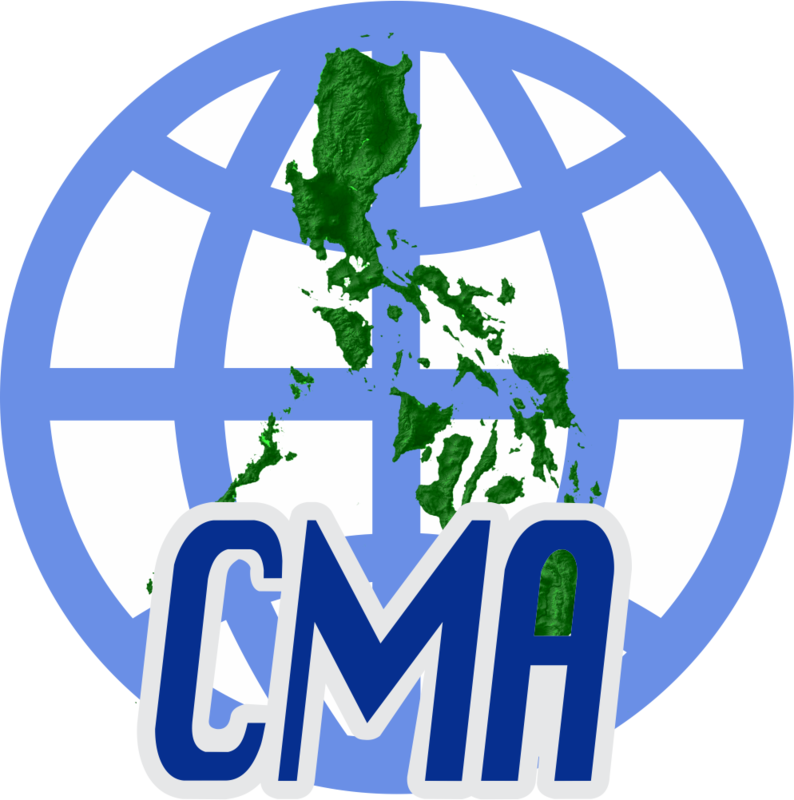 In coordination with the Commission on Filipinos Overseas, CMA hosted a full day forum on Australian migration policies and domestic violence. The morning session included presentations on Australian migration policies and the amendment to the Temporary Work 457 visa, followed by a presentation about Philippine migration to Australia. The afternoon was designated for discussions on gender based and domestic violence against Filipino women. For the full report and photos please refer to the activities page.